Print PDF files in batches on web-servers. Total PDF Printerx is a web-server solution to print many PDF files in batches via command line or ActiveX. 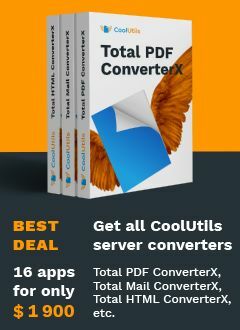 Total PDF Printer X is the best way to automatically print dozens of PDF files on web-servers. You set the command line and leave it do the job. Total PDF PrinterX does not interfere with any other applications and does not require your attention (silent printing). Total PDF PrinterX can print PDF files by file date or time order. Unique option - Separator sheet. The app adds a blank page or any file you choose in between documents. It's great for duplex printing. The files with an odd number of pages are safe. Besides, separator sheets help you to divide documents in the stack of your printer. Auto-rotate and fit-to-page options help you process a lot of different PDF files in one go. The app can also add page numbers or any text watermarks (copywrite info, company name, etc.) to each sheet. Note that Total PDF PrinterX runs on Windows servers only. Download your full evaluation copy now and test it on your files. Batch PDF printing tasks can be much easier than you think. C.Print "c:\test\source.PDF", "Name of Printer", "-log c:\test\PrintPDF.log"
"Scanprint Logistics is a warehouse, where we store and distribute products for our customers. We are using TotalPDFPrinterX together with TotalFolderMonitor to automate printing of PDF-files from our customers and our ERP-system. Our customers upload PDF-files (EG. Invoices) to our FTP-server, and then TotalPDFprinterX prints them out, so we can include them with the goods we send out." "After installed the version of TotalPDFPrinter and TotalPDFPrinterX not issues were found, so my feedback is very positive. We are just starting the use of this new version (we already used a previous version) and in case we have questions I'll take care to send you a message. Thanks and best regards." Print PDF Duplex via command line like a Pro! Print PDF via command line. Save time, it's easy.